Please don’t hesitate to contact us for more information about our handmade acoustic guitars. We are accepting commissions for new custom guitars. You can also browse our inventory of available existing guitars online, here. 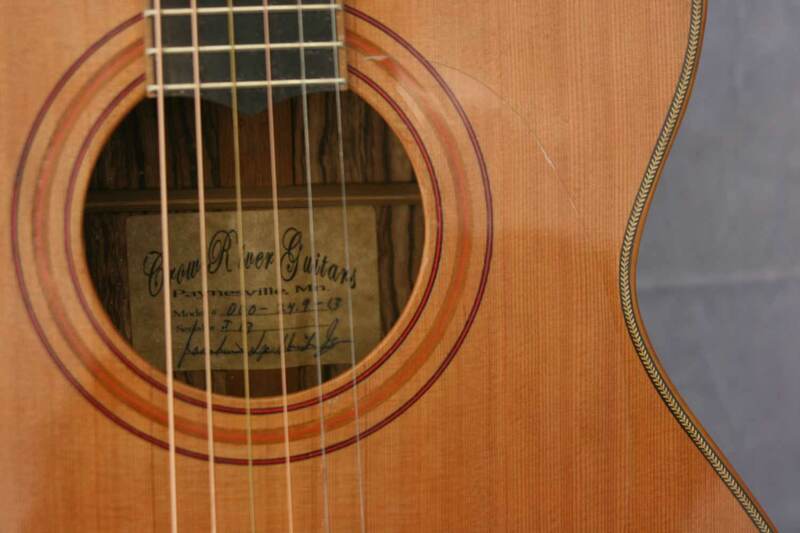 Crow River Guitars is a boutique guitar-building workshop in Paynesville, Minnesota, specializing in high quality, handmade acoustic guitars from more than 65 exotic types of wood.